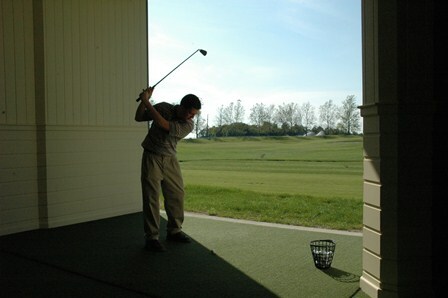 Sharpen your game on our complete, state-of-the-art golf training facility and driving range. The Tom Spurgeon Golf Training Center is named in honor of Tom Spurgeon, a Purdue alumnus from Peoria, IL, who made the lead donation toward the 11,400-square-foot training center. The driving range is open to the public. Please visit the Driving Range Golf Shop to purchase your bucket of range balls. 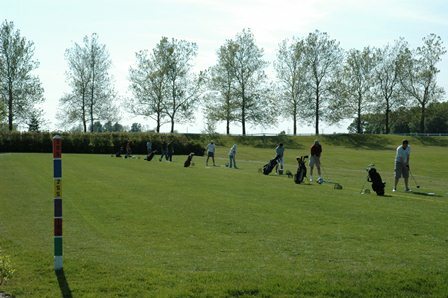 The Driving Range Golf Shop is located on the West end of the Golf Training Center. Practice Makes Perfect! The Spurgeon Center features indoor hitting bays that allow you to practice inside under gas heaters, hitting balls off artifical turf outside onto the range. The indoor bays are available to the public when not being used by the Purdue Men's and Women's Golf Teams. Reservations are required to use the hitting bays.Please call 765-494-3139 during business hours to schedule your Indoor Bay Time. Click Here for Hours of Operation. The Birck Boilermaker Golf Complex has multiple practice greens that allow golfers to work on their short games. There are two putting greens located next to the clubhouse for players to practice putting before their round. The short game practice area across from the Spurgeon Center south of Cherry Lane is also open to driving range patrons. Please check in at the Driving Range Golf Shop prior to practicing on this short game area. Click here for information on private instruction from the Birck Boilermaker Golf Complex Professional Staff. Click here for information on group instruction from the Birck Boilermaker Golf Complex Professional Staff.